There is no better way to entertain a client, reward your best customers and network with other business leaders than by participating in one of The Ally Challenge presented by McLaren's signature Pro-Am Tournaments, private or shared hospitality venues, or one of the tournament’s many branding opportunities. Also take advantage of the many co-branding opportunities for onsite and community exposure. The Private Skybox is an ideal venue to entertain clients while you sit greenside and take in all the action. Skybox packages are completely turn-key and include tiered reserved seating within a private, fully furnished open-air skybox. Access to private restrooms and a mounted flat-screen TV are also provided. 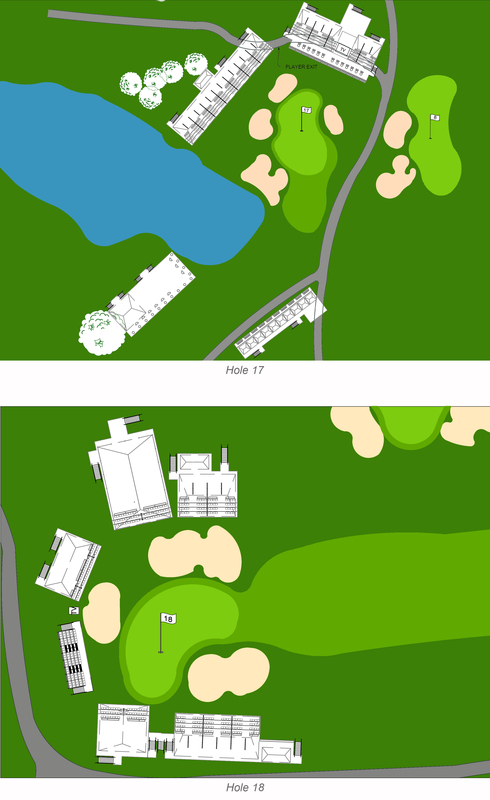 The popular Private Skyboxes on the par-3, 17th hole are located directly behind the green, ideally placed in the epicenter of the high energy atmosphere. Skyboxes are also positioned greenside at the par-4, 18th hole and have a front row seat to watch the closing hole. Skybox location selections will be made based on timing of contract signing (first-come, first-served). Interested? Contact MacKenzie Edgar at (937) 707-8256 or medgar@theallychallenge.com to inquire about our hospitality opportunities.